CED introduces the perfect accessory for the RangePack Pro Backpack, the CED Pistol Caddy. 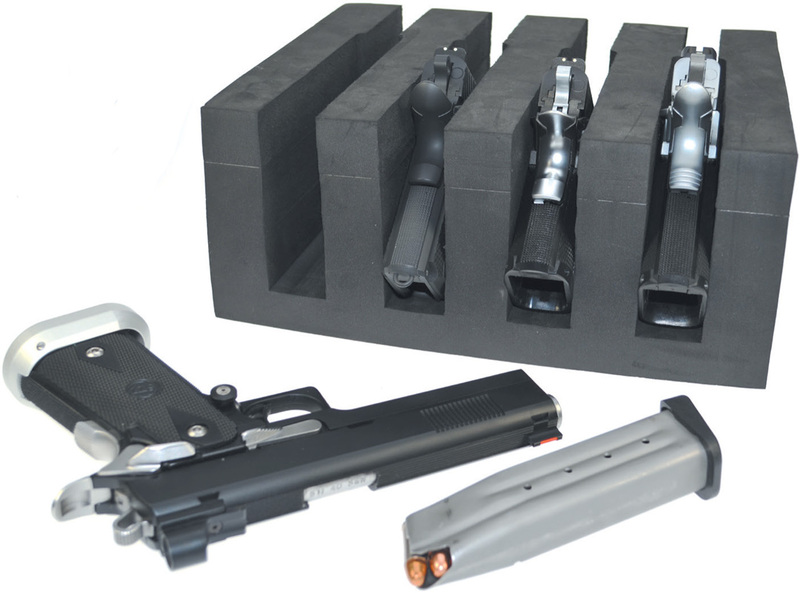 The perfect way to move and store up to four pistols. Ideal to use as storage inside any gun safe and fits perfectly into the lower compartment of our RangePack Pro Backpack, the ideal shooters backpack for USPSA, IPSA or IDPA, for easy transport to the shooting range. Keep your pistols protected by the dense EVA foam custom designed and cut to snugly hold most pistol with up to 6" barrel length.